Home › Blog › FREE Worldwide Shipping! 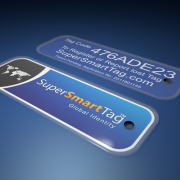 Due to the rapid increased number of online sales through 2015 SuperSmartTag is pleased to introduce free Worldwide shipping across the entire SuperSmartTag product range. Customers are guaranteed to receive their orders within 3-21 days depending on their geographic location from the day of placing their order at no extra charge. 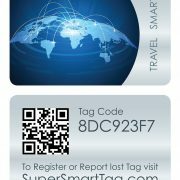 SuperSmartTag CEO Mr. Jovic said with the high volume of global sales, we are now in a position, to offer our customers an even more attractive buying experience by providing free shipping. Customers across Australia can of course additionally pay for next day delivery while International customers can optionally choose delivery via an International courier including tracking at a higher rate. Courier delivery guarantee delivery anywhere in the World within 2-4 days. Mr. Jovic said that in the near future the company plans on shipping products from sub-depots in the United States and Europe which will of course tremendously speed up delivery times for our U.S and European customers.